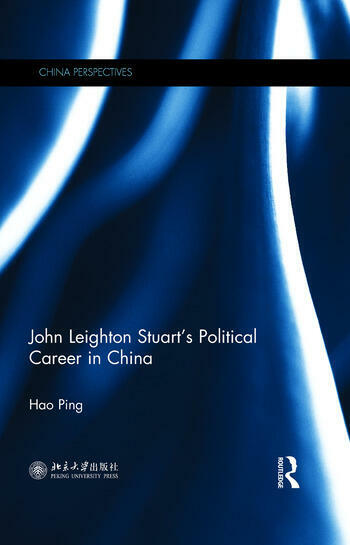 This book gives a detailed account of Stuart's complicated and deep political involvement in modern China. Stuart had close relationships with Chiang Kai-shek and other high-ranking officials of Kuomingtang (KMT), while he was also an honored guest of Mao Tse-tung and Chinese Communist Party (CCP). During his tenure as the U.S. Ambassador to China, Stuart did implement U.S. government's policy of supporting KMT. But when the CCP's gaining power became inevitable, he took a pragmatic attitude and urged the U.S. government to normalize its diplomatic relations with the Communist Government. These seemingly contradictory behaviors reveal Stuart's complex features and the changeable era. By collecting substantial relevant materials both at home and abroad, both published and unpublished, this book reveals Stuart's multidimensional characters, getting rid of the stereotype. Academic and general readers interested in Stuart, modern Chinese history and Sino-U.S. relations will be attracted by this book. Hao Ping earned his Master's degree in history from University of Hawaii and Doctorate in International Relations from Peking University. His publications include Sun Yat-sen and America (Foreign Language Teaching and Research Press, 2012), etc.